I would venture to suggest that they must have had some IAS indications that changed after airborne, perhaps as posted above the covers melted and then blocked after airborne? Last edited by ACMS; 21st Jul 2018 at 10:02. Aircraft get airborne with the gear pins installed - Tech log entry required verifying removal. A320 engine cowlings open in flight - Tech log entry required verifying closure after maintenance. Aircraft departs with pitot covers on - Can you see where this is leading ? A pitot tube with a cover on is obstructed and could give different indications to one which is sealed air tight as changes in static pressure could get through. Pitot heat is always OFF on the ground to avoid overheating. I wonder what level of applied heating would create a sufficiently hostile nesting environment for insects building nests within the tubes, and still not lead to damage of the pitot tube itself ? Obviously research is required, and it is always simpler to ensure removal before flight. But that didn't work here for reasons that require investigation. The problem has been around since pitot tubes were introduced, and the BUSS is a good backup. Would a small amount of heating prevent nesting? If the pitot tube was completely blocked air tight then it would carry that pressure for the entire flight as it would not leak out ie surface pressure would be retained where as if it was simply obstructed it would be unable to measure dynamic pressure and the higher surface pressure in the system would release as the aircraft climbed. Largely academic as indications would be grossly in error either way. GPS ground speed readout with an allowance for wind is a good back up. Does anyone know if fuel was dumped as an immediate return to BNE would result in an overweight landing unless dumping took place. 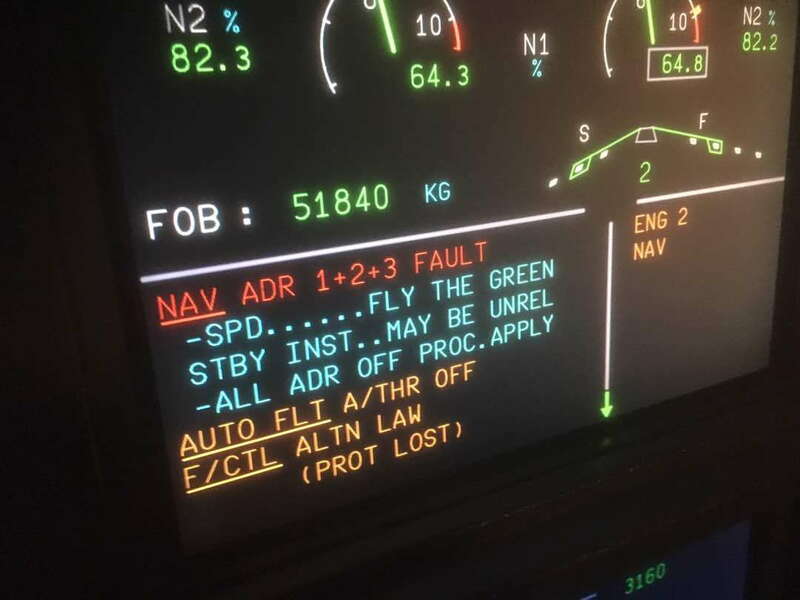 No accurate airspeed indications would greatly complicate the overweight landing checklist when configuring. The picture is simply an aircraft that appears to be on a ramp with the covers on, how do we know it flew with them on? All it takes is one numpty to invent something. The circular arcs on the fuselage behind and centred on the pitots themselves with radii matching the lengths of the flags is quite a giveaway. A very big clue that they've spent a fair bit of time at high airspeed slapping against the paintwork!. When else did you ever see those marks before? Walk around is completed with the covers on. Seriously???? Why not do it immediately on parking then, before anyone has any chance to open a door, a bay, a hatch? It would be so much easier, 'cos you'd already know the plane was perfectly servicable and safe as it had just flown safely with all the hatches shut and no covers on. I hope you're joking, but something inside me tells me that you're actually serious about that. During my time in Guam during the Vietnam war we had big problems with them, hence covers on at landing with streamers so long you couldn't miss them. Did not help with EPR probes so high EPR was panels off air pressure blow out with 8 engines it was a pain in the A##. Long streamers don't cost much. Right on the money. Those streamers or warning flags, would be ok for a Cessna 150. They should be long. Long enough to trip over. At my airline, in that port, yes. And yes it's a threat but it is deemed to be a lesser that than the wasp issue. Thus the tech log remains open until the covers are presented to the crew just before pushback. You can write anything you want in a tech log but that doesn't mean anything to the airplane. At every job I've had it's the pilot's responsibility to check for gear pins and pitot covers. The only pins I havn't been responsible for is the NWS bypass pin and the arming pins on bombs, missiles, and rockets. The push crew, or arming crew, showed us those pins. 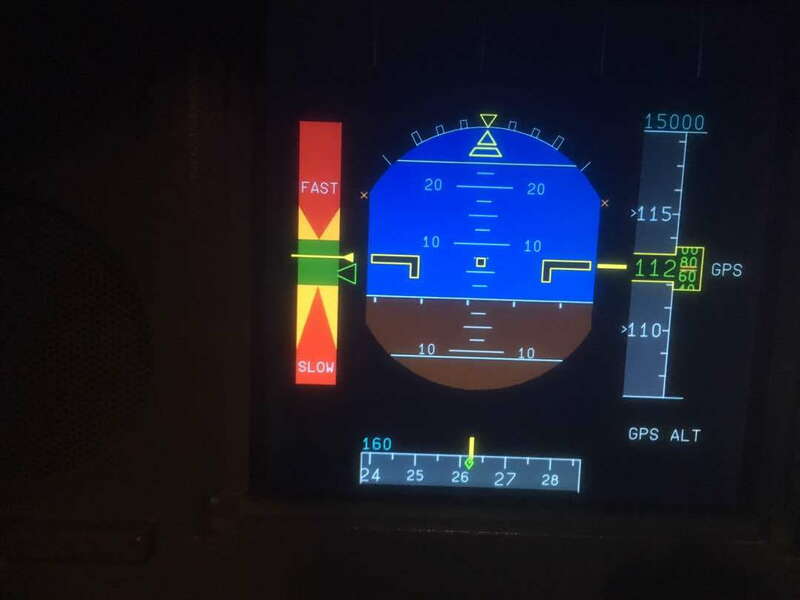 Technique - power is set, and then it's 'speed, speed, speed(HUD- speed if required)' verifying that all airspeed indicators are working. Rather than throw the crew totally under the bus who was the mechanic that checked the doors were closed, pins and covers out/removed then did the pushback very basic work practice stuff does not need to be written anywhere... mechanic needs to be taken out the back of the hangar. At every job I've had it's the pilot's responsibility to check for gear pins and pitot covers. I suggest you and pilotmike do some research on the wasp problem at Brisbane before ripping into Maggot's company policy. Why don't you ask him/her how many times his company has taken off with the covers still on? Even more significant, how many unreliable airspeed events would occur with the covers OFF and a blocked pitot in BNE? At least 3 in a one or two week period that I am aware of prior to the policy being implemented. The FMC picked at least one up on the taxi (clever Boeing), and the other two were air returns. If the covers are not fitted immediately after shutdown and removed just prior to push (where the engineer physically shows you in the flight deck prior to signing off the tech log) you have a high probability of an unreliable airspeed event, even with a < 45 minute turn. There seems to be some anecdotal evidence that the warmth attracts theses wasps. There are test rigs of unheated pitot probes placed around the bays. From what I can see not much activity in the test units, but i've seen wasps go straight towards the aircraft pitot within a few minutes of shutdown. I think you need to be a bit more aware of the policy at BNE due to mud wasps, and how much pressure Engineers and their companies are being put under before throwing around ideas of abuse to resolve the situation. 1. It is BNE policy which airlines comply with that pitot covers are fitted and remain on as long as possible during the transit. 5 mins before departure has been quoted here, and I believe that be correct from I have heard, but not sure if that is 5 mins before ETD or 5 mins before expected ATC push clearance. By that time the Crew walk-round has been done (and hopefully covers noted as fitted). The Engineer has fitted the covers as required on arrival, done the transit check, and hopefully made a Tech Log entry covering the fitment. The Engineer is then potentially in a position of having to sign off that entry as covers removed whilst they are still fitted and signing the flight clearance, getting the Capts acceptance and getting off the aircraft so that doors can be closed and the covers remaining on as long as possible prior to pushback which he then has to remove and try and meet an OTP target and comply with the requirement. To remove the covers, get back onboard, stow the covers, sign the log, get the captains signature, pull the pages, get off again so the bridge can be pulled could take longer than the 5 mins, and maybe anything longer could be enough time for ingress of mud wasps to start their nest building. So one Engineer put in a situation of having to be compliant, whilst being told to maintain OTP. One Engineer = cheaper transit. 2. As airlines want to pay less and less for maintenance, Engineers and the MRO's are having to handle more aircraft with less staff. The engineer may have 2-3 aircraft on the ground with faults or all departing within minutes of each other - all requiring pitot covers removing. I'm currently with an Line Maint MRO and I pay more to get my car serviced than what some airlines pay for a transit and rectification. If airlines paid a more realistic price, maybe there would be more than one engineer at the aircraft as the companies could employ more staff. The licensed engineer could then remain onboard as long as possible, waiting for a last minute call from the Tech/Mech/AME confirming covers removed so that the log can be signed to get off the aircraft as close to a cleared push back time as possible. But one Engineer transit = cost saving. 3. It is not always an Engineer on the headset these days. Again due to cost cutting more and more Ground Handling Companies are performing the push back function. No offence to these guys, but again prices being paid by the airlines are not realistic, so the people employed are not really "aviation professionals" and more than likely do not even know what the function of pitot tube is. I would hope they would notice the covers fitted, but would they know what to do about it if they noticed them fitted? Was it a one man pushback conducted from a towbarless tug so that the only time he got anywhere near the aircraft was to unplug the headset from the external comms panel, which probably would not lead to him being stood far enough back from the nose to notice the covers still fitted? One man, non-engineer pushback = cost saving. Now, nothing of the above excuses what has happened, but the above does have potential to add into the factors that have created the event. The holes in the cheese all came together. Wanting to take the Engineer "behind the hangar" is not going to get rid of the holes in this cheese. In fact, there is a reasonable chance an Engineer could lose his job over this if found his actions were not compliant with the airlines policy and procedures and contributed to the event, but at the same time someone somewhere "did well" to get a reduced maintenance price and save the airline some $$$$$. The most sensible I have ever seen in my time were the Belgium Air Force who tied all the ejector seat pins together with red cord on their Mirage 5B's - totally foolproof. Not really practical though on any external covers. Last edited by Terry McCassey; 22nd Jul 2018 at 08:12. This article states that the wasps take one or two days to complete a mud nest. I wonder what is happening that can create a pitot blockage in five minutes. On the RAF C130K the pitot covers and the nosewheel pin were tied together with a long bungee and had large streamers. As the loadmaster supervised the start externally on i/c it was very easy to check on their removal. First check on applying external power to the a/c was to check that the pitot heaters were off ! Here is regulator's (CASA) documentation on the wasp problem. AIRWORTHINESS BULLETIN AWB 02-052 Issue 4 – 3 May 2018 Wasp Nest Infestation - Alert . From the document it is a the Key Hole Wasp, not the mud dauber as per post #62. Figure 13 even has a image of the pitot test rig.